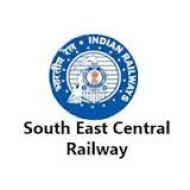 South East Central Railway Jobs Recruitment Notification 2018.South East Central Railway, SECR inviting applications for the positions of Apprentice.Interested and Eligible candidates can apply for the positions. 1. Candidates should have 10th, 12th Class. 1. Candidates age limit Minimum 15 years and Maximum 24 years. Candidates will be select based Merit List. 2. For SC/ ST/ Divyang/ Women candidates Application Fee:- Nil. The training will be regulated according to standards/syllabus issued by Central Apprenticeship Council. The candidates undergoing training will be eligible for stipend as per prescribed rates. Candidates log on to http://103.229.25.252:8080/ACTNGP_2018/. 1. Starting Date for Submission of Application:- 25th August 2018. 2. Last Date for Submission of Application:- 15th September 2018.